“Be Grateful For The Home You Have Knowing That At This Moment, All You Have Is All You Need”. This is a famous saying explaining the importance a home plays in our family lives. Each of us wants to have that elusive roof over our head. Which of us would like to leave the fate of our families to chance ? We all have heard the saying …Home Is Where The Heart Belongs. However the price of real estate is skyrocketing these days. How do we afford it? A Home Loan is the obvious answer. 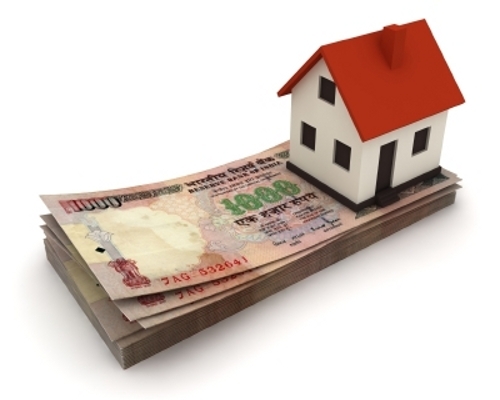 For your Home Loan needs and to learn more about this topic please look up the website IndianMoney.com. Here for a salaried employee we require the Application form with photograph, Proof of Age, Identity and Residence proof, Latest Salary Slip, Form 16, Last 6 month’s bank statements, Loan processing fee cheque. For a self employed person he would require to show his Educational qualifications, Business profile and the last 3 years profit and loss account and the balance sheet. Application: Submit a completely filled in application with all the necessary documents. Sanction: You get approved for a specific loan amount based on value of the property and repayment capacity. Disbursement: Transfer of loan amount. Here I would like to explain how banks calculate your net income when loans are sanctioned for your homes. Mr Verma wanted a home loan sanctioned by the bank for an amount of INR 36 Lakhs. He doesn’t have any other car or personal loans. Bank rules generally have an eligibility criteria which ranges to about 60 times monthly net income. Here Mr Verma had a word with the bank executive over the phone and stated that his monthly income was around INR 60000.Since the rule of thumb is about 60 times the monthly net income the bank agent stated that his 35 Lakh would be sanctioned. An elated Mr Verma was filled with relief. Here things changed drastically once he submitted the necessary documents, salary slips and paid loan processing fees. The salary slips still showed a net monthly income of INR 60000. So What Had Changed? Why Had It All Not Gone According To Plan? Normally a salary consists of the following components: Basic Salary, HRA, LTA, Medical Allowance, Performance Bonus, Conveyance Allowance , Special Allowance, Food Coupons, PF and other allowances. Here banks do not consider medical allowance and LTA amounts in the net income. Here the total amount of LTA and Medical Allowance of Mr Verma was INR 7500 per month Here according to the rule of thumb this amount multiplied 60 times gives a value of INR 4,50,000. This amount will not be considered in the sanctioned loan amounts and he gets around 30 Lakhs. The remaining amount of INR 4.5 lakhs would not be sanctioned .and he has to arrange this from other sources. Here this was told to him after paying the non refundable loan processing fees. On a lighter note A Boy Becomes A Man When He Stops Asking His Dad For Money and Requests A Loan. 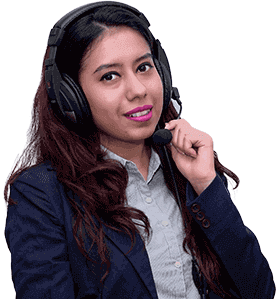 I would like to remind all of you that the team of Financial Planners at IndianMoney.com are always there for you to plan your Home Loan needs in a most efficient manner. You can explore this unique Free Advisory Service just by giving a missed call at 02261816111. Rejection At First Stage: Here many times loans are rejected at the first stage itself due to ineligible age criteria, income criteria, proper documents not been submitted, Not passing the necessary bank field investigations. The best way to solve this problem would be to check the criteria of the lending bank and apply only to the bank which matches our profile. Processing Fee Not Refunded: Here the banks do not refund the loan processing fee as it is non refundable for whatever reason. Here it is very necessary to check the bank’s loan eligibility criteria before applying for a loan. Desired Loan Amounts Not Sanctioned: Here this depends on the repayment capacity of the borrower. Fixed Rate Or Floating Rate Dilemma: Here fixed interest home loans allow the repayment in fixed equal monthly installments over the entire period of the loan. The interest rates here are fixed and do not depend on market fluctuations. Here fixed rate is about 1-2.5% more than floating rate. Floating rates have a certain base rate called index and a floating element called spread. Here if the base rate varies the floating rate varies. However it has a drawback of uncertain monthly installments. Here spread cost covers risk costs, profits and bank charges. Difference in Property Valuations: Here the bank has its own legal, financial and technical appraisal teams to evaluate the necessary property. The property value derived may be significantly lower than the price we quote for the property. Here the borrower needs to evaluate the property before applying for the home loan. Down Payment: Here the borrower needs to fund atleast 10-20% of the entire loan amount as down payments. For an amount of 10 Lakhs this can be approximately 2 Lakhs which unless payed the bank will not sanction the requisite amounts. Here loans are paid based on the EMI which includes Principal, Interest, and Tenure of loan. Method of Computation which includes Monthly Reducing Balance in which the principal on which you pay interest reduces every month. Annual Reducing Balance is one in which the principal is reduced at the end of the year. Here the most obvious benefit out of prepayment is that the interest payout reduces. Prepayment of home loans results in an immediate reduction of the outstanding principal of home loan which results in less interest being accrued on the loan account. Here you can reduce the number of Home Loan installments or keep the number of installments same but reduce the EMI. Here the RBI has made it mandatory for all banks to stop the practice of charging penalty on pre payment of loans taken on floating rate. All major banks have waived off prepayment penalty and are prohibited from levying foreclosure charges. Here many banks have abolished the prepayment charges on both fixed and floating rate home loans. This would give total freedom to the home loan holders to switch banks if they perceive that they are getting a better deal from some other lender. Here the loan holder has to decide if prepayment is a better option or if he has an investment option which gives him good returns should he consider this option. Security for the loan is the exclusive charge of the property to be financed by way of the deposit of the title deeds which should be marketable, clear and free from any encumbrances. Co-Applicant of a loan is the second signer of the loan. The Co-Applicant has as much responsibility to pay back the loan amounts as the primary applicant. Here the spouse can be a Co-Applicant of the Loan. Here we have blood relations to be Co-Applicants but not the sister of the primary applicant. Here you can claim tax deductions only if your loan amount is less than 25 Lakhs. Under section 24 interest portion is tax deductible up to an amount of 1.5 Lakhs and an extra 1 Lakh deduction under section 80EE.Here the value of the property purchased should not exceed INR 40 Lakhs. Only those individuals who obtain a loan between April 1st 2013 and March 31st 2014 are eligible for this. Principal portion of EMI can be claimed up to a maximum of INR 1, 00,000 under Section 80C. Interest portion of EMI can be claimed up to INR 1,50,000 under section 24. Here let us consider the scenario where Mr Ramesh and his wife pay 2.5 Lakh as interest portion of their EMI and 1.5 Lakhs as the principal portion of their home Loan in their EMI. Here this is their first home. Here both are co-owners of the house. Here the interest deductions is available on 2.5 Lakhs under taxation limits under Section 24 and 80EE.Here both pay 1.25 Lakhs each towards interest deductions and INR 75,000 each towards Principal deductions. Pre-EMI is the interest paid for taking an under construction house. Here you can use the home loan for tax saving purposes only once the house is constructed. There is no tax benefit during the period in which the house is being constructed. Once the house has been constructed the total pre EMI is tax deductible within a period of 5 years. This may be divided into five equal installments and paid out in five years. Here for the time the house is under construction only the interest portion is charged hence it is called pre EMI. The real EMI begins (Principal and Interest Portion) only once the house is constructed. Here a person is eligible to purchase a home on loan take possession and stay out of town on work. Here you can leave the house vacant or give it on rent. The rent is an earning and must be added to taxable income. Here a person can take a loan for a house and take possession of the ready house. He can then rent it out. He stays on rent and pays rental amounts. He gets HRA Benefits as well as deductions under section 80C and section 24.